This game Hack and Slash games have a devoted following among avid gamers and casual ones alike. The concept of the game is easy enough to follow so that you don’t need much gaming experience to get into it, and that makes the genre accessible to a larger crowd. Hack and Slash games are generally based around the idea of a solitary hero that has to deal with hordes of enemies coming at them from all directions. The hero would run from room to room or from level to level and clear them of bandits, demons, beasts and whatever the game developers decide to throw at them. 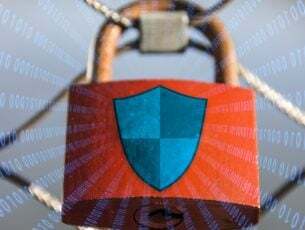 In this article, we are taking a look at what are some of the best Hack and Slash games you can play on a Windows PC, so sorry console fans. While some of these games might also be available on consoles, which we aren’t purposefully trying to leave out, these picks are specifically oriented for Windows PC compatibility. The latest game in the Diablo franchise came out a couple of years ago but it is still played by many people to this day. It’s a single player adventure but it has multiplayer and online elements that allow you to play and compete with friends online of the solo adventure gets too scary, hard or boring at any point. 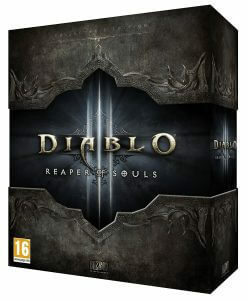 Diablo has also received a heft expansion set and is constantly getting new updates that make the game better. The game lets you choose from multiple classes so that you can play what fits your style most. You then adventure through crawling dungeons in need of a good purging. This game is made by Blizzard, the company behind Warcraft and Starcraft, and the story is also pretty good. Enter the world of Diablo! Try the single player mode and the online mode. 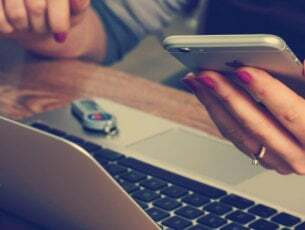 Be careful: internet connection is required in order to play it. 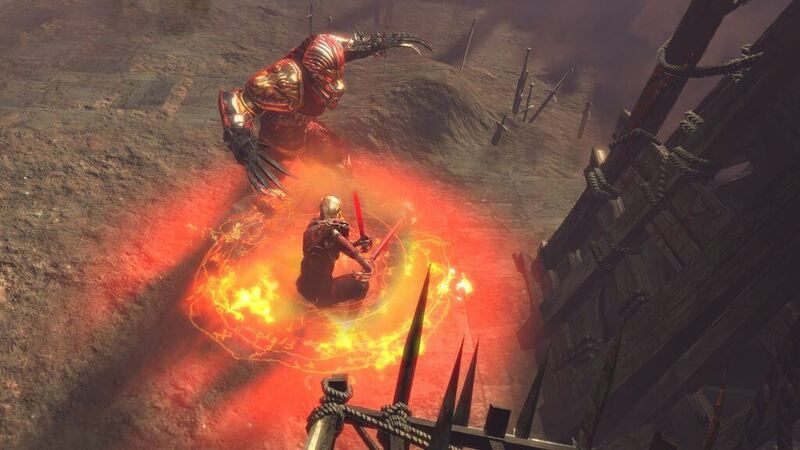 2018 update: At Blizzcon 2018, Diablo 3 has not received another add-on or a sequel, but instead it got a ‘sister-game’ – Diablo Immortal. 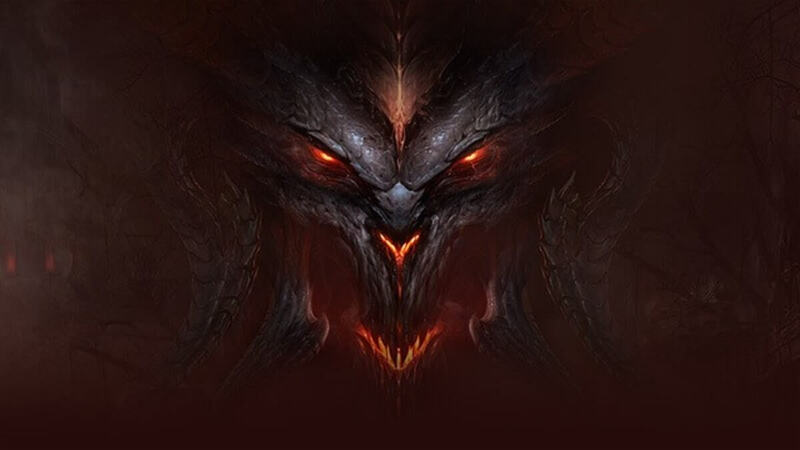 This is a mobile version of Diablo and at its announcement, it has been heavily criticized by the community. However, this took a great turn for Diablo fans, as in December 2018, Blizzard announced new Diablo projects to be revealed next year. We suggest you keep an eye on the news and see when does the Diablo Universe receives an improvement. 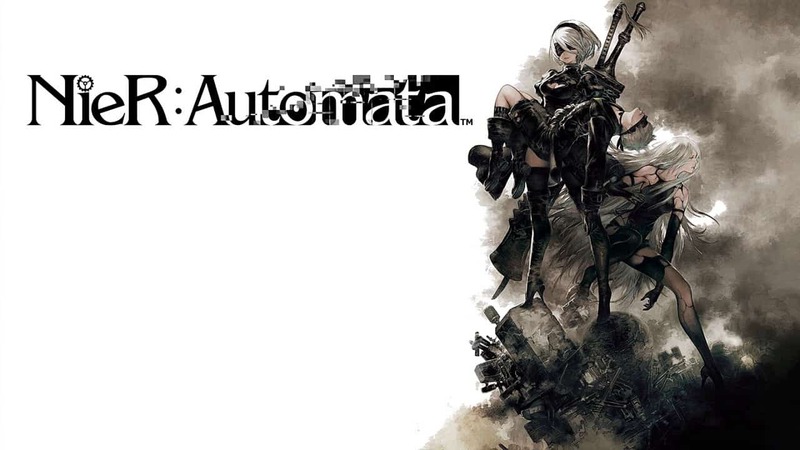 NierR: Automata is the sequel to a game not many people have played or appreciated, but it definitely started a cult following with its original take on the genre. The game is not a pure Hack and Slash as it incorporates heavy RPG elements. That being said, you do get to run around as a female cyborg with her own assistant-like companion, shooting robots and cutting them with your swords. The element that sets this game apart from the crowd most is its setting. The premise of the game is that humanity has lost a war against the machines and is now fighting to regain control of the planet. The aftermath of this conflict spawns some amazing scenery that the game developers fully expose in artistic detail. It’s definitely a game that you want to get lost in thanks to its captivating and immersive nature. The game did come out as a PS4 game, but the developer promised a PC version that would release later on. 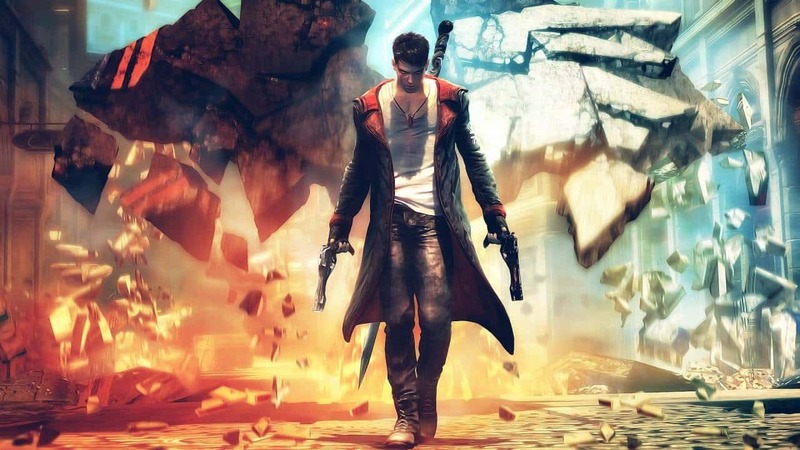 DMC: Devil May Cry represents a soft reboot of the widely successful series which has been around for more than a decade. The game is based around the protagonist Dante and his various missions throughout the different games in the series. In this soft reboot, Dante gets a complete makeover starting with his iconic silver hair all the way to his attitude. One thing that doesn’t change however is the gameplay which has you running around and killing all kinds of demons and monstrosities. There are multiple types of weapons that you will use throughout the game, ranging from fast cutting blades to heavy hitting maces. You also have two guns which you use intermittently with your melee weapon attacks to create awesome combos. The game series is known for its dynamic and slightly cartoonish combat where you can keep enemies suspended in the air with multiple attacks, making for some really interesting combos. Additionally, the visual effects make it a real treat as the various weapons combined during battles make for some real eye candy. The original games in the series are also worth your time, and they can be a really fun experience for people that have only played the newest, rebooted title, which we mentioned previously. The first games are the ones that set the tone for the franchise and explore the story of Dante as he was originally portrayed. The games are packed with gory action and an intricate story revolving around brotherly feud and an effort to save the world from destruction, all compressed in one game, but with its essence spread across 3 more sequels. The difference in production will be pretty visible between the originals and the rebooted title but the core of the game will still be there and enjoy one side means there are super high chances you’ll enjoy the other one. 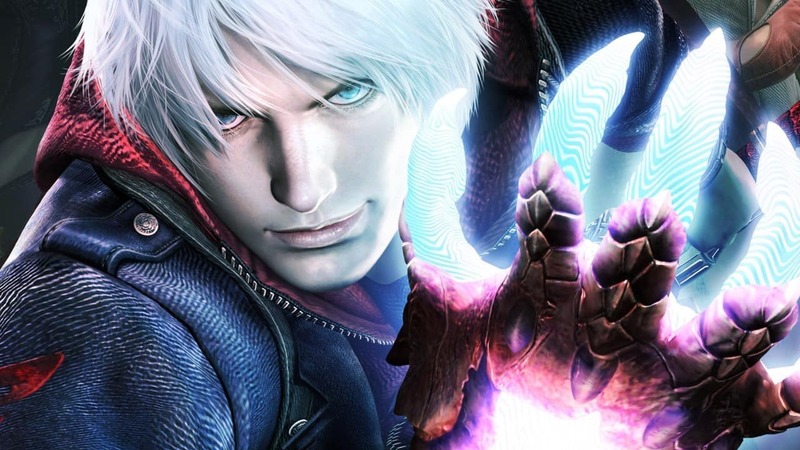 If you’ve played and enjoyed DMC: Devil May Cry, it’s definitely worth looking into its older brothers. 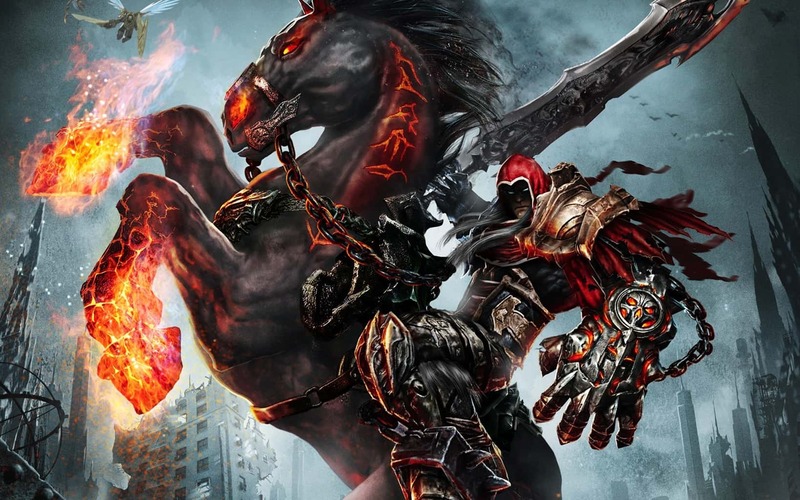 Darksiders is a game where players assume the role of War, one of the four horsemen. For those that aren’t familiar with the biblical theme of the Four Horsemen, they are War, Famine, Death and Pestilence, and it is said that when the world ends, they will be the harbingers of the Last Judgment. Now that the lesson’s over, it’s time to get on to the good part: the game. 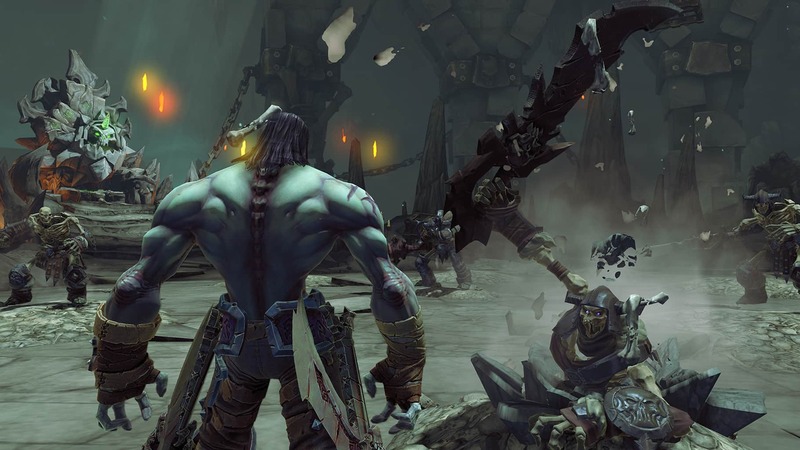 In Darksiders, War, which is you, the player, is summoned to fulfill his duties in the aftermath of an error. The apocalypse is triggered way to soon and humanity perished under a battle between demons and angels. War must battle both sides and usher in his element (war) through humanity’s final hour. Of course, you’ll have to play the game to find out what happens to our planet, but we can tell you that you’ll have a lot of hacking and slashing to do, with multiple combos and a super God of War-inspired combat which combines free flow combat with finisher moves and even transformations and power-ups that give you small time windows in which your powers get cranked to 11. We continue the small tradition of sequels in the list started by Devil May Cry with the sequel to the aforementioned Darksiders. It’s a bit hard to explain the synopsis without spoiling the first game, but the main idea is that War, the protagonist from the first game is in trouble. This time around, you take on the role of Death, another one of the Four Horsemen, and War’s brother. You set out on a journey to save War and you have plenty of opportunities for epic battles along the way. The game builds on what the original Darksiders had to offer, bringing more dynamic and more variety in the game. You also get new toys and some sweet weapons you can use to demolish the hordes of enemies coming your way. This is another Hack and Slash game with an intriguing story that might interest you. If not, the combat gameplay on its own is enough to pick up this game as well as its predecessor, if you’re looking for a good Hack and Slash game. At heart, the Metal Gear franchise is a tactical, stealth-based series which has you playing a silent, calculated and deadly protagonist. That’s why anyone that knows a little bit about the series but hasn’t heard about this game might be a little confused. 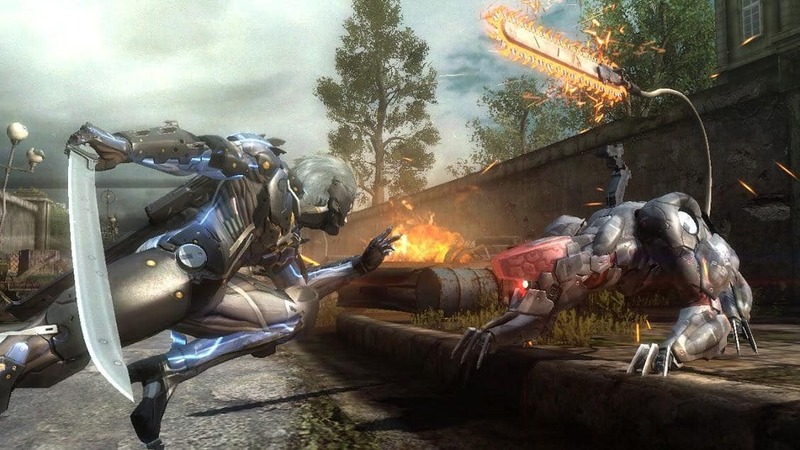 Metal Gear Rising: Revengeance is a spinoff to the original game series and it differs a whole lot from what fans have been used to up until its point. This game follows a protagonist called Raiden, which is a Katana wielding cyborg. It is, of course, a Hack and Slash game, which makes it eligible for this list, but it is also one of the most interesting and unique Hack and Slash games out there, which is why it is actually featured on the list. The thing that makes this game so different is the fact that it has a “free slicing blade mode” which lets the player slice through anything they want from cars to buildings and anything else they can find in the environment. It is an extremely gory game, action-packed and full of cool moments throughout the adventure. It’s Hack and Slash at its finest but also with a personal touch which will make players specifically remember it and differentiate it from other games in the genre. Grim Dawn is the answer for anybody looking for a really gritty looking game. It has all the elements you find in a game like Diablo and it incorporates RPG elements as well. It’s definitely a game worth playing if you’ve enjoyed the earlier Diablo games like Diablo 2 for instance. This game definitely has a darker tone to it but the various Diablo-like elements such as picking a class and attributing skills to building up a character as you progress is very reminiscent of the aforementioned Blizzard game. The story in Grim Dawn is also very dark, so if you are generally into shadier narratives, this might be the game for you. This game also resembles Diablo a bit but only as far as the camera angle is concerned. With a top overview perspective, you are launched into the world of Vikings as you battle hordes of enemies to reach your destination and complete your quests. 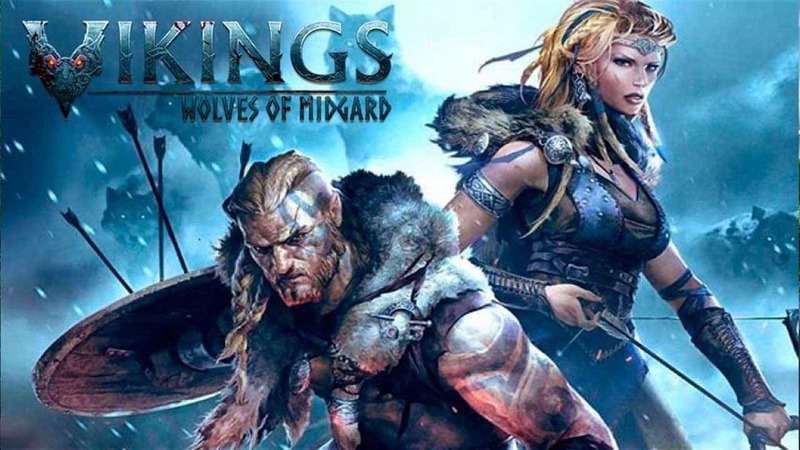 If you are into norse mythology and love giving a proper beatdown to large packs of enemies ranging from beasts to monsters and giants, then this game might be your cup of tea. It has great graphics and little details such as the fact that you leave footprints in the snow, or that you start freezing after spending some time on snowy mountaintops bare-chested give it a really special feeling. There are many such classy elements in this game and the overall experience is great. You can even get a friend to tag along in a co-op, 2-man adventure which makes things even more fun if you have a mate to go do Viking stuff with. You don’t have classes in the classical sense of the word, but more like orientations towards a certain specialization. What that means is that you can choose what kind of weapon you start with and what you’re most proficient with at the very beginning, but as you progress you can level up and spend your points accordingly so that you can master the use of any weapon you want. That’s not only great for your first playthrough, but it also adds tons more replay value than if there were traditional classes in the game. 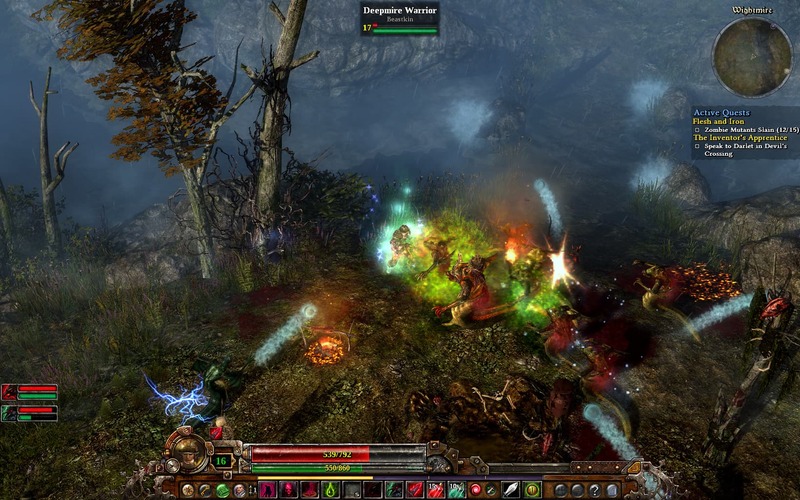 Originally released for the last generation consoles, the game has made its way to PC as well, as a response to the insane demand for the game to be ported over to computers. The game is definitely in a league of its own, but it’s for each individual user to decide whether that’s a good or bad thing. The game promises something different from the very beginning as the protagonist in this one is a female, rather than your typical male lead. 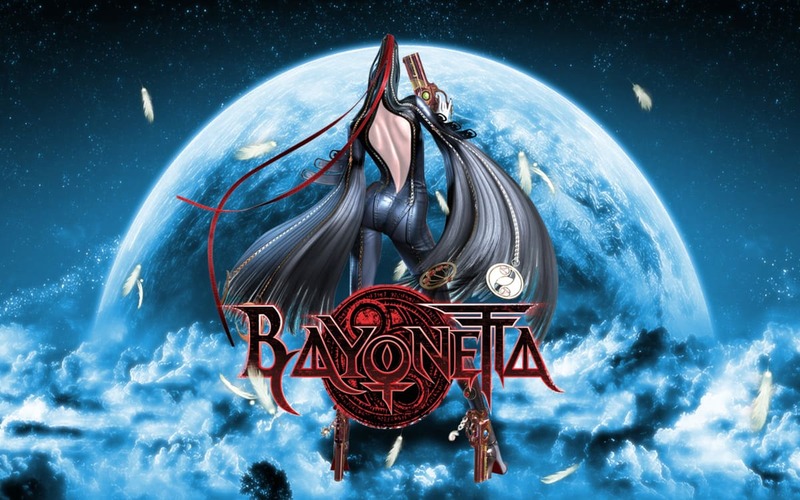 The titular character, Bayonetta, suggest a long list of possibilities and tools to use in taking down your foes, which are many in number. Whether you’re looking at a tough boss battle or just another swarm of enemies, Bayonetta lets you play with your food, so to speak, as it offers a truly insane range of available ways in which you can dispose of them. Not only do you have your melee weapon and gun alternation, but you also possess shape-shifting abilities thanks to your witch status. These let you take on a completely new form that is more vicious and deadly. Bayonetta wears a 1-piece suit made of her own hair, which pretty much sets the tone for an edgy or rather extreme personality. Those who have played Bayonetta are equally intrigued and terrified when it comes to how complicated some of the advanced combos are in the game. This game has a great advantage: it is a free-to-play game, and will not become a pay-to-win in the near future. If we got you interested in this game, let’s have a quick look at what experience does it offer to gamers. This is a game set in a fantasy world with dark elements, which makes it comparable with Diablo. You have to build your character by constantly fighting and gaining loot. You can build an unlimited number of skills and customize your character to be defensive or offensive. Another great in-game feature is creating and customizing your hideout. You just have to gain the trust of a Forsaken Master, and they will offer you a hideout as well as missions and quests where you will have the chance to harvest more loot. You also have PvP tournaments and special dedicated events where you can win extra-prizes and put your skills and experience to a serious test by battling other POE gamers. We suggest you try this game and share with us your experience. there you have it, these are the best Hack and Slash games you can play on PC. Regardless of whether you don’t spend that much time playing games or you just don’t like consoles, you definitely have a nice collection to dive into. While all these games have some similar elements between them which bind them to the Hack and Slash genre, they all possess something unique and provide a lot of diversity among them as well. There are other games out there pertaining to the genre, but it’s safe to say that you’ll be having your hands full for quite some time with this selection of the best titles available on PC. Editor’s Note: This post was originally published in July 2017 and has been since revamped and updated with new games so our users would have a wider range of alternatives. We want to be sure that our list has the best items that will fit your needs.